Many people think that they need to spend thousands of dollars on a one year supply of freeze-dried foods in order to be properly stocked up. There are many people in the United States that don’t have the extra money that will allow them to spend major portions of their income on freeze-dried food items. While freeze-dried food items are great if you can afford them, there are several other ways you can build a year’s supply of food. Canned foods can be a great way to create a long term food storage program! 1.) Canned foods are generally less expensive and are already a major part of your food budget. Special Note: Canned goods bought in bulk are approximately 25% of the cost of the same product offered in freeze-dried or dehydrated form. 2.) Canned foods will generally have more calories. Special Note: Canned foods generally contain more calories in the form of fats than freeze-dried or dehydrated foods. Fat has more calories per ounce than most types of food. 3.) Many canned foods have additional water content. This will allow easier preparation. . The water content will vary depending on the type of canned food. Special Note: Freeze-dried or dehydrated foods have little or no water content. This means you will need to store additional water to prepare your meals. This will be in addition to water needed for drinking and sanitation purposes. 4.) Canned foods have a very good shelf life of a year or more in most cases. 5.) Canned foods are readily available in a wide variety of types in most places. 6.) Canned foods are usually products that are familiar to your family and that they are already comfortable eating. 7.) The preparation of most canned foods is a familiar activity for most individuals and families. 8.) Many canned food items can be eaten without the need for additional cooking. If there is no power or heat available for cooking you will still be able to eat a satisfying meal. 9.) Many canned foods can be prepared or heated directly in the can. This makes the need for additional cooking gear minimal. This is great in an emergency situation. 10.) Canned foods are generally resistant to vermin (bugs, mice, rats, etc.). 1.) Canned foods take up more storage space. This is a very small sacrifice when compared with the money you will save. 2.) Canned foods are heavy. This is due mainly to their additional moisture content. 3.) Canned foods are more difficult to transport. 4.) They are susceptible to high moisture conditions and may rust and become unusable. 4.) You will need a good can opener! Most cans are difficult if not impossible to open without one. It would probably be a good idea to have several back-up can openers as well. For persons or families on a budget, canned food items are an easy and simple way to build a long term food storage program. You make some very valid points, my friend! 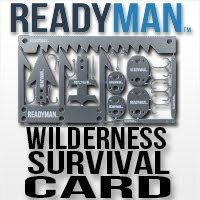 I used to want to go the "freeze dried" and "dehydrated" route, but after reading a couple of very good blogs I changed my way of doing things. In food storage, as in life itself, common sense should be our guide and survival for us and our loved ones our goal. Canned foods freeze. If you are going to keep a large stock of canned foods they must be protected from freezing. When the SHTF there are going to alot of preppers with awful intestinal problems, eating foods they are unaccustomed to! My advice: store the very same foods you normally eat. Great post and really great infomration. I'll stick to my canned foods. It's a better choice for a poor boy. After getting my food dehydrator set up and running,I'll never be without it! Sure,it seem's to take forever to do, but you can use frozen food's too! My local grocery store usually has frozen veggie's on sale in 1 pound package's for 60-75 cent's a bag,cheaper than canned food. My dehydrator can handle 3 pound's at a shot,but take's 12 hour's. Frozen food usually has a lot more variety too. 6 pound's fit into a gallon freezer bag,or I use a canning jar with a seal. I have some freeze-dried stuff but canned products work great if you're on a tight budget. Thanks. A very valid point! You would think with all this cold weather I wouldn't miss that one.Thanks. In long term preparedness there aren't too many things that will be some stored canned goods. Thanks. I also keep a lot of frozen food items which I think are really great. I do need a good dehydrator though. Thanks. I need to clarify my earlier point about dehydrating foods. I prefer to dehydrate food as opposed to can's or canning food,as it's easier to carry and store. Dehydrating frozen food is actually cheaper than canned food,as your not paying for the can or the water, and a 1 pound bag contain's 3 times as much for the same price! I do keep a well stocked freezer of frozen stuff, because when SHTF, you can use it for ice till it thaw's. Everything has it's advantage and disadvantage,so keep all your option's open. Learn to can fresh food's,dehydrate, garden,do it all and you'll be way ahead! Canned foods are good because I eat them every day. It's much easier to rotate stuff. I can't imagine breaking open a 50 pound container of red wheat and cooking with it. Canned soup makes an easy lunch. Canned beans you can do a million things with. I like canned veggies. Prep what you use everyday and use it everyday. You gotta rotate your stuff whether it's canned goods, batteries or MREs. My system is simple. I write the month and year on all the food I buy ex. 12/8. A sharpie pen is great for this. When it's time to pull something to eat you just look for the oldest item first. Buckets of dried beans and wheat may work for you, but not me. Like you said though the downside is if we ever have to bug out we won't be able to carry as much as we could of the dehydrated stuff. Thanks for clearing that up. Makes good sense. Thanks. Sounds like you've got a good storage plan going. Thanks. Don't forget to keep a line wet! I agree with you too Abraham,to a point.Rationed out,I have milk crate's full of can's under my bed to last a year! Yes,I date them too! It's also,in my opinion,a waste of time and money to buy wheat.Unless your planting it, I'm sure we'll all be too busy with other thing's to bother with that hassle. Buy flour or bisquick.I have several boxes of pancake and muffin mixes stashed. But for a quick bug out kit,dehyrated stuff is great! By the chart that came with my dehydrator,25 pounds of potato's dry's to 5 pound's,pea's to 5 and carrot's to 3! So,in a 5 gallon storage bucket,it seem's you could fit a decent mix for stew or soup to last for weeks! I like dehydrated fruit also. Banana, apple, etc. chips are great addition to store and add variety. Thanks. My dehydrator book has a section on doing fruit,so I decided to give it a try.The book said to rinse for 2 minute's in lemon or orange juice to prevent browning,or some chemical stuff. Living in Arizona,I picked a couplefresh lemons,a couple tangerine's and an orange,squeezed it all together for a marinade. I decided to "kick it up a notch",sprinkled it with cinnamon and sugar.I'm doing apple's and banana's tonight.. I'll let you know how it turn's out! Great post! But, I've got to correct one point: Grocery-store-bought foods will last FAR longer than their "Best By" or "Use By" dates. Two times in our history, canned foods from the 1800s (when canning had just been invented) were found that were over 100 years old. They were opened and found to be edible (though not pretty). I think the store brand variety like banana chips is coated in some sort of sweetener. Let me know how it turns out. Thanks. While many canned goods can be eaten a great many years later...they may be lacking in "nutritional value". Thanks. I tried the banana's and apple's last night,not sure about the banana's.. I think I sliced them too thick.According to the book,it said to slice them 1/8 thick,which on potato's makes them way too thin to cook with.So,I made them about 3/8 thick.A great flavor,but chewy like leather,same with the apple's.It say's banana's take 5-24 hours(???) to dry crisp.Guess I need to experiment more. Once I get it perfected,I'd be happy to send you some to,uhm,review! Yes awesome post!! Canned goods in my mind are the best survival foods and mostley overlooked. And from experience I can tell you if the can is kept between 50-70 degrees (in your house) and is not damaged I'm very comfortable keeping a 5 year rotation. in an emergency I would go longee. I've had some canned goods well past their "best by" or "expiration" by a year or more and used them without any problems. Canned food is good but have a short shelf life. Some dehydrated foods have a shelf life of 25 yrs. Like Mountain House.I also have eaten canned food well past their expiration date and are OK. not just as tasty. When veg. are added to soups, you cannot tell the difference. Best to have both canned and Mountain House dehydrated. I do "all of the above" - lots of canned goods, mylar bagged flours, rices, noodles, & two dehydrators for fruit & veggies. Anonymous said she uses frozen stuff from the stores and I agree! Works great for peas, corn, green beans, etc. I've also gotten alot of freeze dried stuff like eggs, fruit, vegs, grains and some meats but now the prices have skyrocked at the place (Honeyville Farms) I bought so I will just keep buying more canned goods and dehydrating too. When bad things happen no one will be totally prepared but we'll be better than most! It's true that having alot of canned hard wheat may not be for everyone but I make alot of bread and have a hand grinder. Grind some wheat and make bisquits, pancakes, etc. Regular flour can go bad so the canned hard wheat is protected. Plus it can be good for trade! So many things I need still but being poor makes getting prepared slower. 1. Bug out- a dehydrated or Freeze-dried can be best for arry. 2. Short term hunker-down, a mix of the above, plus canned, and a lkong term kit.